Scrapbooking Is a Billion Dollar Industry. Discover how to turn this fun hobby into an extra income! You're about to discover how to make money doing something you already love! Would you like to turn your hobby into a second income? You're in the right place at the right time. The scrapbooking industry is the fastest growing hobby in the United States generating over $1.4 billion dollars in revenue. Wouldn't you love to have a piece of that $1.4 billion dollars? Wouldn't it be great if you could make money doing what you want to do? Or make extra money so you can finally get ahead. You can. 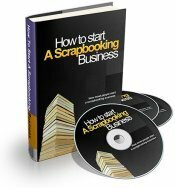 You can start your own scrapbooking business. And we'll show you how. “How To Start A Scrapbooking Business" is packed full of tips, tricks and techniques from experts who have successfully started their own home-based scrapbooking business. The opportunities are endless. In a few months, you can be fulfilling your dream of being your own boss and being able to direct your own career at your own pace. 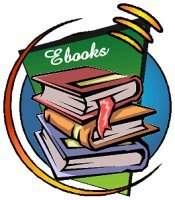 This book is your ticket to business success! Do what you love and make money in the process. Order today and get started on the road to success! We guarantee - you won't be sorry!